The fantasy musical tale — based on a short story by Upendrakishore Ray Chowdhury, Satyajit Ray’s grandfather — was earlier translated to Hindi by Gulzar. Satyajit Ray’s seminal Goopy Bagha series is getting a Hindi-language adaptation in illustrator Shilpa Ranade’s new animation film, Goopi Gawaiya Bagha Bajaiya, which releases on March 1. 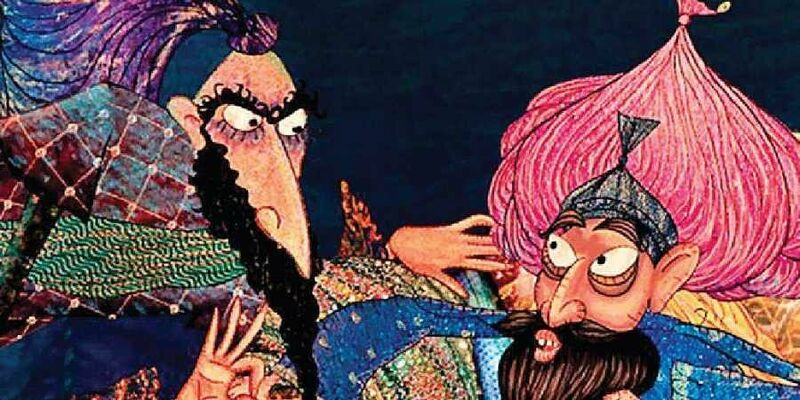 The fantasy musical tale — about the bumbling duo of exiled musicians Goopy and Bagha, based on a short story by Upendrakishore Ray Chowdhury, Satyajit Ray’s grandfather — was earlier translated to Hindi by Gulzar in his book Magical Wishes: The Adventures Of Goopy and Bagha. Ranade’s film, which takes inspiration from Gulzar’s work but has been independently written, is produced by Children’s Film Society India, and has been in the works since 2013. Drawn to visual storytelling from a young age, Shilpa graduated from Sir. J. J. Institute of Applied Arts before joining IDC School of Design at IIT Bombay, where she finished her masters in 1989. She worked for some years at the Tata Institute of Social Sciences (TISS) as faculty and later moved to the Royal College of Art (RCA) in London. There, she pursued her M.Phil in Animation and produced her first animated film Mani’s Dying, based on the acclaimed Marathi novel Kosala, in 1995. “I always found animation to be a powerful medium. My early influences were Soviet-Russian animator Yuri Norstein (Hedgehog in the Fog, Tale of Tales) and Canadian director Caroline Leaf (The Street, Interview). Lots of films from the UK and rest of Europe were also influential, mostly works created outside the mainstream,” said Shilpa. Although canonized as one of the greatest children’s films ever made, Ray’s Goopy Gyne Bagha Byne (1969) achieved historical resonance through its dense political allegory and dark subtext. In the film, Goopy and Bagha, endowed with magical teleporting slippers, travel to the bountiful kingdom of ‘Shundi’ and help avert an impending civil war. In its 1980 sequel, Hirak Rajar Deshe, also directed by Ray, the musical duo conspires with a local freethinker to bring down an unjust tyrant. These themes of stately oppression and peaceful resistance played on Shilpa’s mind as she went about contemporizing her adaptation for the present audience. “Like Ray’s films, my version is also an anti-war film, though we are not saying anything directly. I feel anything you make for children has to have value beyond the fun, frolic and entertainment. Yes, those not looking for subtext can enjoy the film thoroughly. But, somewhere, the larger message is bound to percolate into people’s minds. The film is essentially about brotherhood, peace and being tolerant,” the filmmaker said.